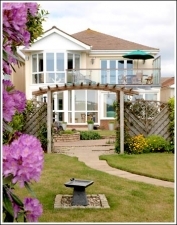 Stay in a modern and bright house on the cliffs great for walks by the sea or trips into the New Forest. 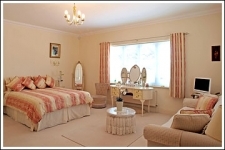 The ensuite bedroom is in cream and gold, both relaxing and comfortable. Enjoy a full English breakfast or tempting healthy options of smoked salmon omelettes and fresh fruit salads. Guests have the use of the conservatory if the weather prevents you from enjoying the local scenery. South facing garden is perfect for soaking up the sun. Captiva is perfect for a short break or a relaxing week by the sea with it's cliffs affording views over to Bournemouth and the Isle of Wight.